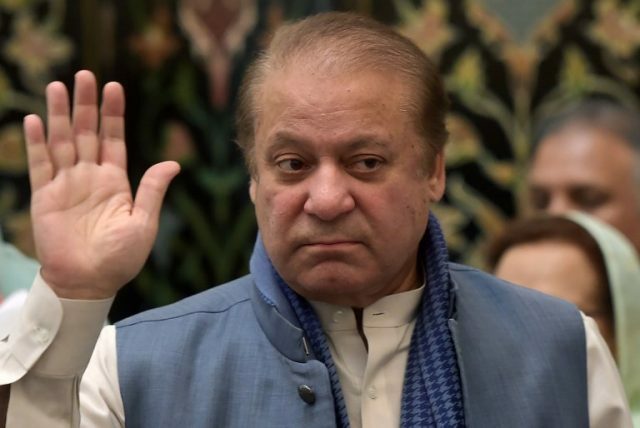 The Islamabad High Court has transferred the two remaining corruption references against former prime minister Nawaz Sharif to a separate accountability court, SAMAA TV reported on Tuesday. Two of three corruption cases–Al-Azizia Steel Mills and the Hill Metal Establishment (Flagship Investment)–will now be heard by new judges at Islamabad’s Accountability Court No. 2. The court issued its ruling on Nawaz Sharif’s petition, seeking a transfer of the cases from one to another accountability court. Sharif’s lawyer argued that the judge who had heard the Avenfield cases and sentenced the former prime minister, should not be hearing these other references. The previous court has recorded the statements of more than 30 witnesses in the two cases. The remaining trial will now be conducted at the Accountability Court No. 2 in the federal capital. On July 6, an accountability court had sentenced Sharif and his daughter Maryam to 10 and 7 years in prison, respectively, in the Avenfield properties case. His son-in-law, captain (r) Safdar, was sentenced to one year of imprisonment.